I have a problem. I am a coffee drinker. Why is that a problem? I am in front of people every week, teaching a class, giving a presentation or just meeting people. I consider myself a very outgoing and personable guy and I like to smile, a lot. But recently I have been smiling a bit less because I was conscious of the color of my teeth. A little background first. About 22 years ago, my older brother Mike was in dental school at the University of Illinois Chicago. At that time he was starting his cosmetic studies and required some patients to sit and get veneers installed. He asked me if I would be willing to come down to the Chicago campus for a few visits to get some new teeth. I jumped at the chance because I did not have the best natural teeth and in fact had a few chips from various sporting activities, which were repaired (patched) years ago by our uncle, also a dentist. So, long story short, the smile that Mike gave me lasted 22 years, which is pretty good considering the materials he had to work with back then. The design and form worked flawlessly for two decades, but my coffee habit caused them to get yellow and a little embarrassing over the years. Flash forward to today and I again had the chance to get a new smile from Dr. Mike. This time the materials are a lot more resistant to stains (I was ecstatic to hear that) as my coffee habit shows no sign of slowing down. 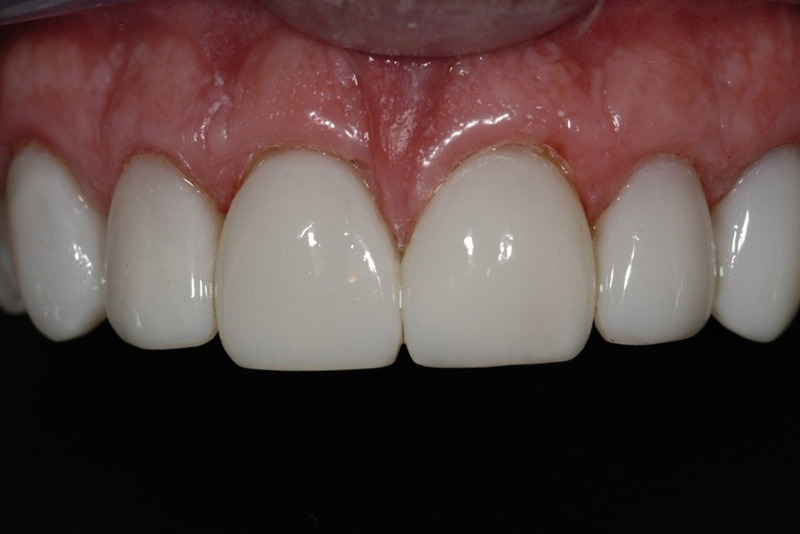 There are basically two types of veneers, those that are made by a dental lab (porcelain veneers) and those that are made and shaped on the fly, in your mouth while you are in the chair (composite veneers). 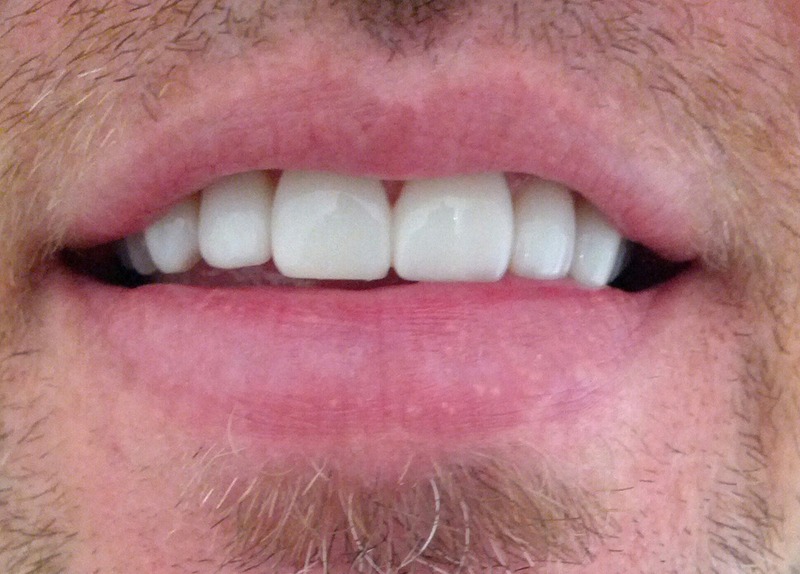 My older veneers were made in my mouth about 25 years ago, after my teeth were very lightly prepped. The new veneers are applied to your prepped teeth (my old ones had to be ground off, which was a bit like resurfacing a roadway) using different colors or shades of composite (a tooth colored material used for fillings, veneers and other things) to match the final color I wanted. 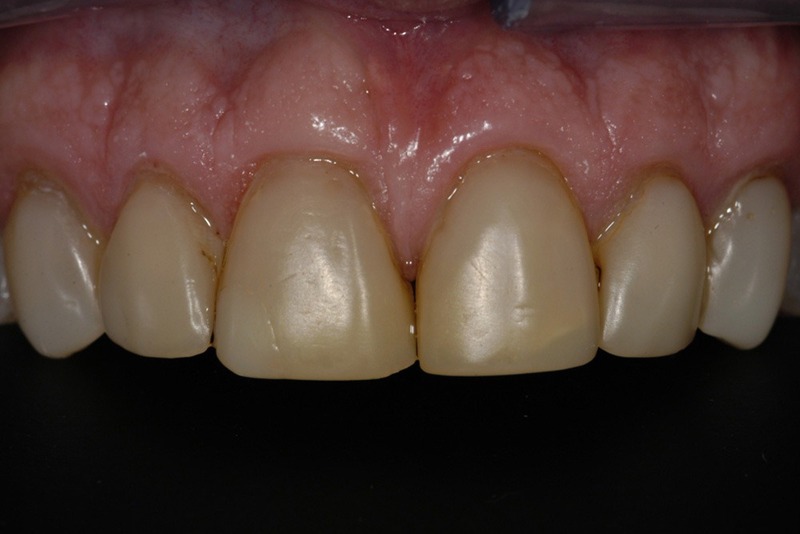 Natural teeth have many different colors, so its necessary to use different colors of composite so the final tooth looks real and not like a chicklets. As I mentioned above, the fact that the materials require mixing and forming, requires that the dentist is actually an artist as well as a dentist. He needs to form and sculpt the material into something that looks great and looks like it belongs in your particular facial structure. This is where Mike excels. He did an amazing job with the color of the teeth (he convinced me to not go with the top two whitest shades as I would have had to had out sunglasses each time I smiled) and the shape of the six we were able to do in one sitting (I need to go back for the last outside two) are perfectly proportioned to my mouth and my face. Mike has been perfecting his craft for a long time and it really shows. You can see some of his work when you watch various news casts in Chicago as he has given many of the news anchors their beautiful smiles. I can’t name names as the is verboten, but if they have a perfect fantastic smile, Mike probably helped them with that. It was a long 8 hours in the chair, with breaks and some liquid nourishment, but at least I got to sit and get some sleep (yes I did get a few hours in as the Novocain made the procedure very comfortable) while he had to concentrate on my smile and work meticulously for the whole time. I could not be happier with the results, and others have already noticed the difference. I was down at a customer in Florida last week and when I arrived and shook the clients hand he said “Wow, Dan, your teeth look amazing. He did a great job.” I had warned him that I would be getting some new teeth a few weeks before, so this was probably a premeditated comment, but sincere non the less. This post may sound like a commercial for his services, but I wanted to express how happy I am with what he did for me. Could you find someone less expensive? Maybe, but you get what you pay for. Could you find someone better at what they do? In my opinion, no way. You can find examples of his excellent work over at www.smilesbymorgan.com. Thanks big bro.